The cloud is familiar to every everyone but the term cloud computing is still a buzz word for many of us. We all heard this word and we are using it in our conversations, just like we know everything about it. But in reality it is still a mystery for many of them. 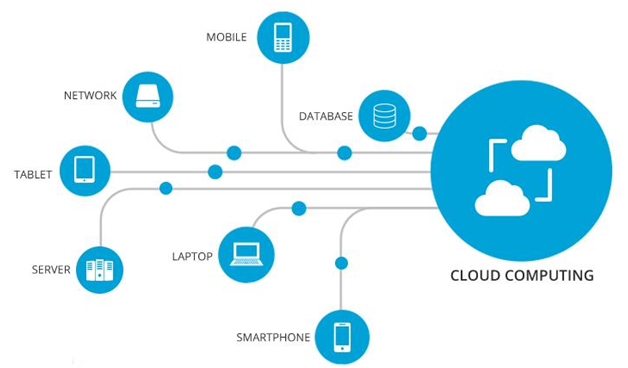 Cloud computing is the combination of several technologies like Servers, storage units, processors and software connected over internet.cloud computing is a service oriented technology. It is designed to increase the availability of technology based service to everyone. Each services are designed to meet some specific requirements, so the user can choose accordingly. Cloud architecture is built on decentralized networks, all the hardware components are distributed across the network so we don't need to worry about hardware failures that may affect the complete cloud services, other equipment's on the shared network will take charge and there will be no disruption on services. How Organizations are using Cloud technology? Every organization need to focus on their workflow and control. And they have different needs,before cloud they need a huge hardware infrastructure and their own software's to meet their requirements. The Cloud computing arrived as a savor for them. For cloud computing the complete hardware part is owned by the cloud vendor, user only have to buy services from the vendor. They can buy any services they need from different vendors and can use them on their browser screen. The user only needs to pay for services and bandwidth. By the arrival of Cloud services the companies/ organizations had saved their initial setup cost and maintenance cost of hardware components and also they don't need to think about physical security issues like natural disasters and power failures. So they can concentrate more on increasing the productivity of employees. There are so many cloud software services that enhance and coordinate increasing the productivity. ERP softwares ( Enterprise Resource planning) are the best examples for analyzing the requirements and allotting the necessary resources according the priority of tasks. SaaS cloud architecture enhance the flexibility in working. Employees don't need a physical office to do their work, all the resources they need is on their browser screen and they only want to take care of their internet connections. Gmail and Google Docs are best examples for that, A G suit enabled email can provide a lot of softwares to work with and the employees can coordinate with their teams using this feature.They can arrange meetings, share files, get live updates on projects and so on. The end user can use all these services from anywhere in the world without any extra hardware. Cloud can handle bigger work loads that the normal platforms and there are capable of automating a lot of work, that causes manual workforce, these area big advantages that can be used by organizations to cut down the extra cost. The cloud technology completely relays on networks so they don’t need hardware and physical storage and security options, these features are also a good cost reduction methods for companies. How cloud has changed product design and customer experience? Cloud services can also enable live support for products with in house employees, in olden times the company have to hair a third party BPO service to give support to user queries around the clock. With Pass service the messaging platforms can be accessed directly without any intermediate control centers. Most of the cloud platforms for product analysis and design provides live analytical data. It can collect the user experience on workflow of the product and send it to the production company, these data is lot more valuable for increasing the efficiency of the future variants. Cloud technology has influenced a lot in increasing the productivity of employees and equipment. With automation and time management functions on cloud platforms the higher officials can easily analyses the work efficiency and take care of the less effective tasks. Brainsphere IT solution is one of the leading ERP software company in Dubai UAE. Over the past 16 years Brainsphere IT solution has helped more than 500 + clients. Brainsphere IT offer the best ERP software solutions for our customers mainly in the UAE, UK, India and other Middle East region. Apart from ERP Software, We provide HR and Payroll Software, Accounting software, Inventory management software etc Microsoft gold certified partner Dubai, Microsoft certified company, Microsoft certified products.